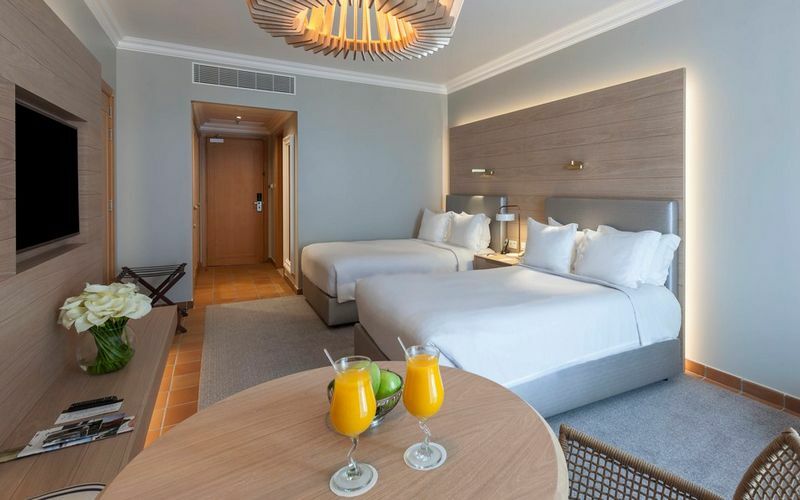 The 5* Praia D’el Rey Marriott Golf & Beach Resort is located right on the beach on Portugal's Silver Coast with Praia D’el Rey golf course on-site, which offers a mix of fantastic links and parkland golf. 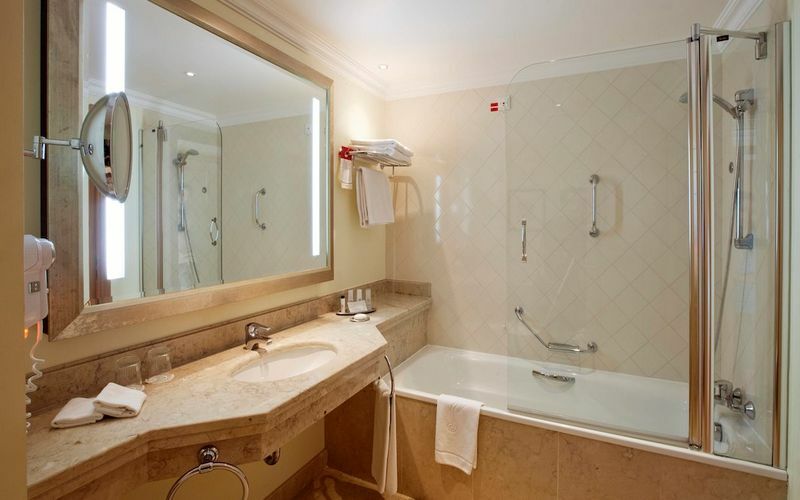 The hotel has 179 large and luxurious guest rooms that includes a bath with selected bathroom amenities, satellite TV, air-conditioning and a balcony views of the golf course or Atlantic ocean. There are two restaurants on site at the resort for a fine evening meal. 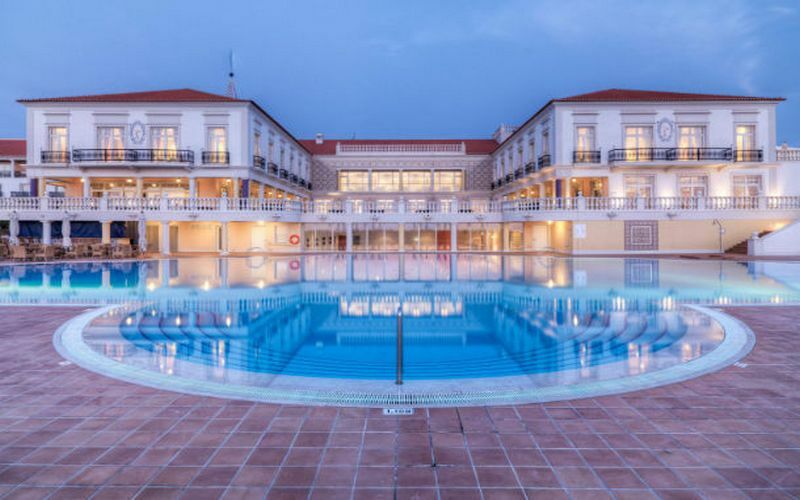 Guests can take the time to relax in the outdoor & indoor swimming pools, Jacuzzi, sauna, steam bath or receive a treatment at the Health Centre. If your feeling active why not make use of the gymnasium & tennis courts. Staying at the Marriott Praia D'el Rey Golf Resort offers 2 fantastic golf courses as part of the package. 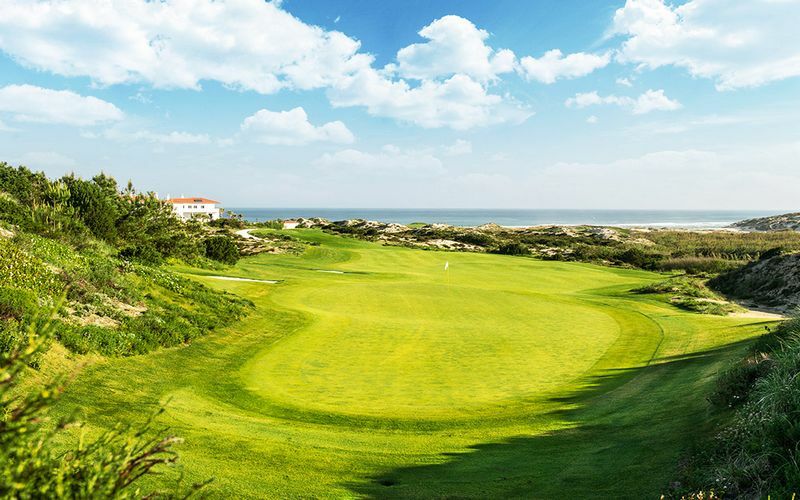 Guests can enjoy a choice of Praia D'el Rey or West Cliffs golf course. 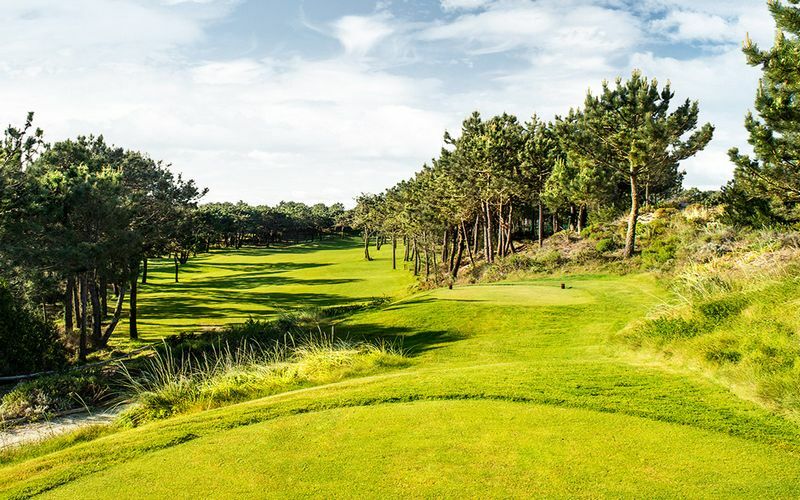 West Cliffs golf course is part of the Praia D’el Rey Resort and is the latest addition to Portugal's top class golf courses and has made its way proudly in to being one of the best golf courses around. 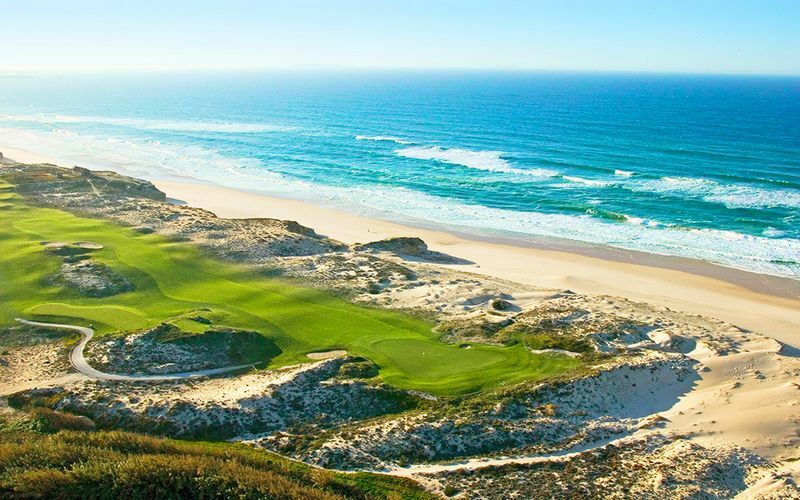 A unique course that combines sand dunes and vegetation to separate the holes. Hugging the coast line provides some mesmerising views out towards the Atlantic ocean. An 18 hole, par 72 links course designed by Cynthia Dye Design that opened in 2017 and measures 6,982 yards from the black tees. Each hole is extremely different to the last and provides you with a new set of challenges.